Pop-noir diva Lucinda Belle releases “Baby Don’t Cry” today, January 18. Born in the UK and considered a child prodigy at the harp, Belle, who most thought destined for a brilliant career as a classical harpist, didn’t fulfill what was expected of her. Rather than going down the classical road, she created her own sound – jazz harp – blending elements of hip-hop, pop, jazz, blues, reggae, and classical. Belle’s distinctive sound caught the attention of Decca Records, who approached her in London, where she was managing a successful laundry. Decca signed her. Belle sold the laundry, later moving to California, where her gift was recognized. She received an Oscar Nomination in 2015 for Best Song: “Going Nowhere,” in For No Good Reason, starring Johnny Depp. She played Dixie Darling in The Drowned Man, and worked with The Pet Shop Boys, Natalie Cole, Yes, Seal, Grace Jones, Jamiroquai, and Annie Lennox. A few months ago, in October 2018, Belle dropped her EP, entitled Urban Lullabies, a collection of covers by Nirvana, T.I., John Mayer and Paolo Nutini. “Baby Don’t Cry” opens with Belle’s contagious voice riding on a flamboyantly sentimental piano. Strings and gliding Spanish-flavored horns enter, infusing the tune with elaborate retro flavors. Then the tune shifts to a rollicking bluesy jazz tune, potent, and rife with lots of pizzazz. Radiant background vocal harmonies add depth and bright resonance, as Belle’s energetic tones deliver vivacious timbres. A slapping bass line and rolling drums drive the rhythm, giving the tune bouncy retro energy reminiscent of the big band jazz of the ‘30s and ‘40s. 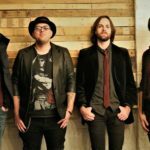 It’s cool, stylish music full of nuanced sonic aromas and buoyancy, as well as lyrical hints of gloominess. The song reflects the elegant glitz of the heady days of Hollywood amalgamated with jazz-noir, conjuring up memories of Peggy Lee channeling Amy Winehouse and Billie Holiday. 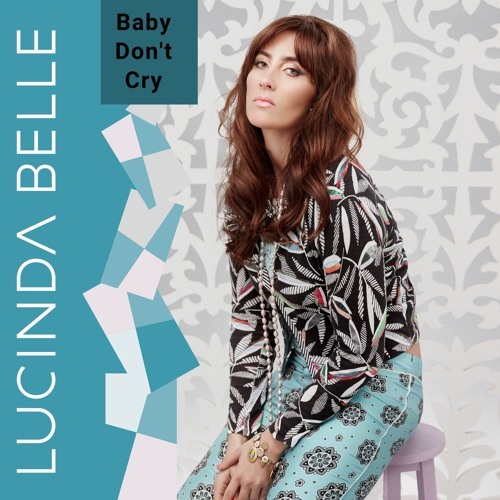 Lucinda Belle definitely has next up on “Baby Don’t Cry.” An infectious groove and Belle’s beguiling tones make this song top-notch.